Wow! What a great way to kick off our Europa tour. 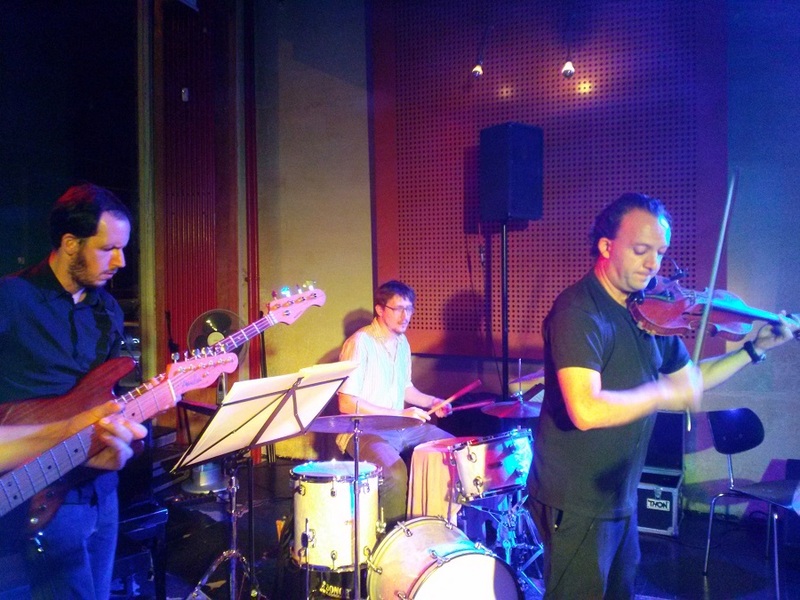 We played last night to a packed house at B-flat Jazz Club in Berlin, playing two sets of original klezmer fusion. German audiences continue to be my favourite ones to play too. At B-flat, once they turn the house music off and the band walks up the stage, everyone in the bar stops talking and turns their attention to the music that’s about to start. I’ll admit that it’s a little awkward to put my reeds on my horns and tune in almost complete silence but when the audience is that attentive, it’s worth a bit of strangeness with people hanging on every tuning note you play. We kicked off the show with versions of some of our old favourites from both The Golem of Bathurst Manor and Klezmachine. The tunes, some of which are already 10 years old, had a fantastic vitality with the band breathing new life into them! We followed that up with about half of our new material that will be recorded in the coming days for Europa. In the second set, we followed the same pattern, playing three or four tunes from our previous albums and then about half of Europa. Unfortunately, we ran out of CDs last night (although we should be restocking today for the rest of the tour). If you’re just tuning in to KlezFactor, read through the blog and you’ll understand why we didn’t have very many discs available at our show. Paromita and I have been traveling for the last six weeks and space in our luggage has been at a premium! If you were at the show and couldn’t get a CD or two, you can always head to CD Baby to order CDs (or download digitally) or go to Apple iTunes to download music from them. You may even save a little money due to the conversion rate! Thanks to everyone who came out last night but you can still catch us at Blue Note Jazz Club in Dresden tonight and at Jazz Dock in Prague on Friday.